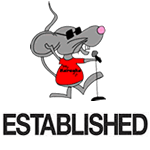 Voted Best Karaoke DJs, Karaoke Bars, & Karaoke Shows In Dallas Ft. Worth & Surrounding Areas > Uncategorized > Karaoke And Line Dance Videos? Our Weekly Karaoke Show At Austin Avenue II In Richardson is known not only for Karaoke but Line Dances as well. Say What? That’s Right DJFlex Loads up your favorite Line Dances Every Saturday Night. He even has what he calls his Line Dance Remix, which can last for about 20 minutes if you’re looking for a good work out. The Key to the Line Dance Remix is to “Face the DJ Booth” as requested by Flex during the Remix. If you can do this you will always be on time and everyone else will be looking out of tune. So come on out one Saturday Night and show off your Karaoke Singing Ability as well as your Line Dance Skillz. By The Way if you Look under the “Video” Tab on this site you will find most of the line dances to practice in advance of the show. See you on Saturday.